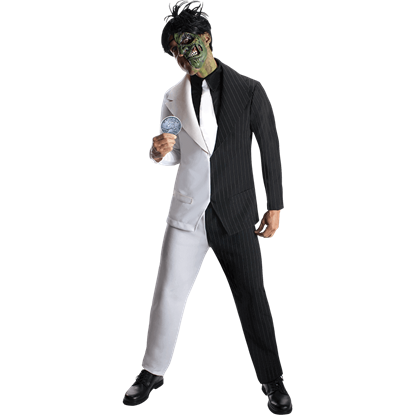 After being horribly scarred by acid thrown on his face, Harvey Dent lost his grip on reality and became the supervillain Two-Face. 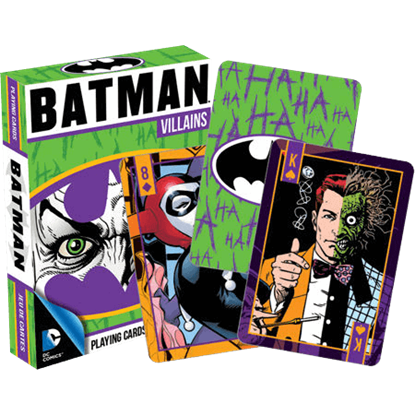 The Mens Batman Two-Face Costume allows you to dress up like this iconic DC Comics character. 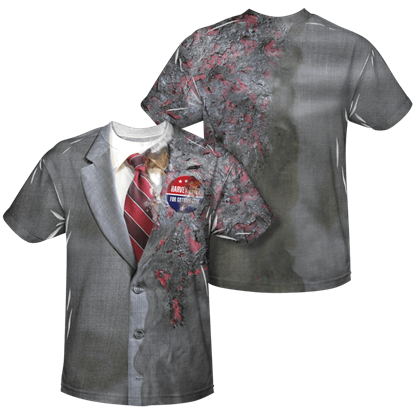 Embrace the ideal of justice without the massive scar tissue with the stylish Two-Face Burned Suit T-Shirt. 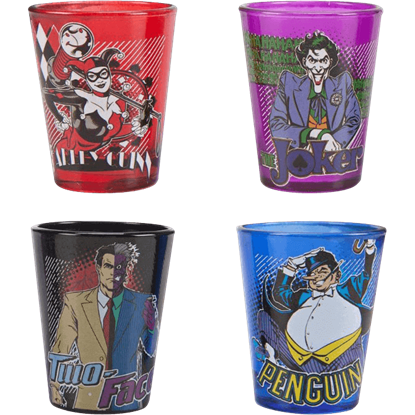 Harvey Dent wanted to spread fairness with the flip of a coin, and now you can impress your friends with his burned suit.